Nearly $17 million cut from summer youth programs in D.C. and 8,000 less D.C. summer teen jobs means thousands more youth will have no structured activities this summer, reports WAMU‘s Kavitha Cardoza. Summer break is just weeks away, and D.C.’s parks and library systems are preparing for a potential flood of kids to their free and reduced programming. “There’s a huge awareness in the youth-serving community that we’re going to be called on to do more with less,” said Rebecca Renard, the D.C. Public Library’s summer program coordinator. Swimming is a cool, cheap summer activity. Department of Parks and Recreation spokesman John Stokes said that “the budget is not what it used to be, so you have to make lemonade with lemons.” DPR is teaming up with other agencies, businesses and community organizations to provide programs, and DPR is also organizing a comprehensive online guide to city activities. “I’ve been here for eight years, and it’s never been this intense, where every week about 20 agency heads get together in a room and ask, ‘Who’s going to offer what in the summer? How are we going to make sure these areas are covered nonstop?’” Stokes said. DPR pools not undergoing construction are currently open during the weekends, and once the school year ends, they will open during the week as well. 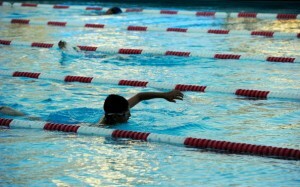 Pools are free for District residents. They close one day a week for routine maintenance, and that day varies by pool. Check your local pool’s schedule here. Libraries won’t have special extended hours, but many are tailoring programs to meet the needs of teens coming to their buildings. If there are groups of teens in the library with not much to do, Renard said library staffers are prepared to offer impromptu workshops on everything from duct-tape wallet making to producing music using GarageBand. “We’re really trying to think of cheap, no-cost programs that we can immediately implement,” she said. Given that D.C. Public Schools will see their summer school budget reduced from $9 million to $4 million, library reading programs could be a way to help “stem learning loss” this summer, Renard said. Such programs are most successful when they include incentives to participants for reading books, she said. This year, teens will be able to take part in a program called Shadow Your Future; upon reading a certain number of books, teens can enter a lottery for a mentoring experience of their choice. Examples include editing movies at National Geographic or sitting with a congressman on the floor of the House of Representatives. “We’re also keeping in mind that there’s a shortage of summer jobs, so we’re creating a career and professional mentorship program,” Renard said. DPR is planning to hold more movie nights this summer, including four outdoor movies, with a heavy emphasis on targeting high-crime areas. Movie nights may seem not that important in helping keep kids focused, but Stokes pointed out that they reach teens at an important time: the evening hours. “Even when there were 20,000 [youth] jobs, still at night, all those kids are off. So you want to provide them something to do. That’s why the movie nights are so critical,” Stokes said. Camps are most like some of the structured programs which saw funding cuts, such as the D.C. summer jobs program, in that they provide a full schedule of monitored or planned activity. Unfortunately, they are also the most expensive option on this list. Some of the city’s arts organizations offer camps, but the cost can be as high as $400 for four week sessions. There are reduced rates and financial aid available to attend some camps, such as Girls Rock! DC. There are more affordable camp options, such as DPR summer camps, which cost District residents $100 for four week sessions. The city offers a reduced rate of $25 for DPR camps to those who qualify, but there are a limited number of those slots available, says Stokes. There are hundreds of DPR camps ranging from street theater to gardening. DPR’s D.C. Summer Fun website will be revamped next week with a comprehensive guide on what children and youth can do this summer. And you can follow the library system’s youth-oriented Youth202 Twitter feed to find out more on free and low-cost activities. Have a suggestion for a low-cost summer teen activity? Email us at dcentric@wamu.org. DC SCORES is providing 3 FREE soccer and arts camps this summer in Wards 1 and 7. For more information, parents can download our brochure (http://bit.ly/ijEV5t) or call our office at 202-393-6999.